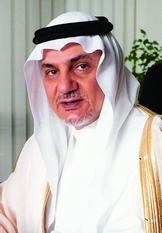 HRH Prince Turki al-Faisal is Chairman of the King Faisal Center for Research and Islamic Studies and a former Director General of Saudi Arabia’s General Intelligence Directorate. AS THE organization that calls itself the “Islamic State” (Da’esh in Arabic) continues on its path of murder and destruction, we have been forced to confront an entity whose ambitions escalate as rapidly as its acts of violence. The organization understands perfectly that names are shorthand for ideas, and that ideas have tremendous power; its evolving names for itself are commands for the attention of millions and expressions of its desire for power. Today, the vast majority of the world’s 1.6 billion Muslims lead their lives as law-abiding citizens in all nations. To speak of an organization best known for its public executions of innocent civilians as an “Islamic State” is an insult to the faith of those Muslims, and to their contributions to political and public life. The media love discussions of terrorism and violence that treat Islam like a pathology. In the media framework, “Islam” is shorthand for reactionary backwardness, and “Islamic” institutions are those that use violence to disrupt democracy. The term “Islamic State” caters to media preconceptions about the goals and behavior of a terrorist organization, and its use in the media obscures the fact that Sunni Muslims in Iraq and the Levant are far more likely to be victims than perpetrators of violence. In this way, allowing a fundamentally godless nongovernmental organization the free publicity of the name “Islamic State” crosses the line from ignorance to active harm. This is speech that does violence—speech that is fahish, obscene. The idea that “Islam is a religion of peace” has become an empty cliché, and a lazy rejoinder to media depictions of Muslims as bloodthirsty or reactionary. The truth is a broader, more constructive one. Islam is an extraordinarily rich religious and historical tradition and a way of life for billions of ordinary people. Saudi Arabia bases its Islamic practice on the example of the first three generations of Muslims after the Prophet Muhammad (PBUH), who are collectively known as al-salaf al-salih, the righteous forefathers. Salafism seeks guidance from the Qur’an, as well as from the words and deeds of the Prophet and those who lived in community with him. In practice, this translates into a religious life centered on devotion to God; respectful behavior to others; a peaceful, well-run society; and an emphasis on self-improvement. Peace is not the absence of violence, but rather the active cultivation of social unity. Fahish is a direct threat to Muslim unity: it targets religious and ethnic minorities, but the majority of its victims are Muslim civilians (Sunni and Shi’i alike) living in majority Muslim states. The organization’s gleeful degradation of fellow believers in the name of God is perhaps its greatest offense against Islamic law. We call the people of our qiblah [direction of prayer toward Makkah] Muslims and believers as long as they acknowledge what the Prophet—may Allah bless him and grant him peace—brought, and accept as true everything that he said and told us about. We do not make any distinction among any of [Allah’s] Messengers; we accept as true what all of them brought. We agree with performing the prayer behind any of the people of the qiblah, whether righteous or sinful, and performing the funeral prayer over any of them when they die. We do not say that any of them will categorically go to either Heaven or Hell, and we do not accuse any of them of kufr [disbelief], shirk [associating partners with Allah], or nifaq [hypocrisy], as long as they have not openly demonstrated any of those things. We leave their secrets to Allah. We do not agree with killing any of the Ummah of Muhammad—may Allah bless him and grant him peace—unless it is obligatory by Shari’ah to do so. We do not recognize rebellion against our rulers or those in charge of our affairs even if they are unjust, nor do we wish evil on them, nor do we withdraw from following them. We hold that obedience to them is part of obedience to Allah, the Glorified, and therefore obligatory as long as they do not order us to commit sins. We pray for their right guidance and pardon for their wrongs. We follow the Sunnah [teaching] of the Prophet and the Jama’ah [community] of the Muslims and avoid deviation, differences, and divisions. We love the people of justice and trustworthiness and hate the people of injustice and treachery. 1 - It is imperative to respect the Muslim community and avoid causing any division within society by labeling others unbelievers or hypocrites; no one has the right to judge others’ faith in this life. 2 - The state, represented by the rulers, has a monopoly on legitimate violence, and those who are involved in nonstate violence are people of fitnah (sedition); this is why the Sunnis hold the title of the people of community (ahl al-jama’ah). 3 - Being patient under unjust rule but in a safe place is better than sedition and civil war. 4 - Killing others is a major sin; indeed, it is close to apostasy; such killing is the Fahish practice. Contrast the gentility and wisdom of al-Tahawi’s foundational statement with the public profile of Fahish, which built much of its reputation by filming and releasing footage of some of the more than 200 beheadings it has carried out in the past few years. Of course, the group’s utter disrespect for human life—both Muslim and non-Muslim—is well known; the more interesting contrast lies in the difference between Salafi Islam’s edict to respect true leadership and Fahish’s attempt to win Muslim allegiance through a toxic mix of public relations and terror. Fahish’s current leader, Abu Bakr al-Baghdadi, is not a religious scholar. He is certainly no caliph. His assumed name is a tribute to the first Muslim caliph, Abu Bakr—a rebranding that preceded his self-nomination and self-appointment as the “caliph” of the “Islamic State” in 2014. The meaning of the term “caliph” is somewhat elusive, as the position has a long history. The first caliph, with the consensus of his people, led the entire Muslim community in the wake of the Prophet’s death and provided spiritual as well as political guidance. Centuries later, as the Islamic world grew, splintered, and grew even more, his successors were more like kings. In Islamic law and philosophy, the notion of a caliphate became more an ideal than a description of reality, with various scholars debating the attributes of a true caliph, his behavior, and the type of community he would lead. Islamic scholarship on the caliphate is vast and complex, although certain core principles are easy to discern. Salafi doctrines see the caliph as a leader who preserves the unity of the Ummah and who, if he guides absolutely, is committed to the safety of his people and abdicates his authority if he rebels against God. Together, the so-called Islamic State and the media have capitalized on the glamor and the vagueness of the word “caliph” to suggest that al-Baghdadi has seized power based on laws he and his people do not understand, and on responsibilities he refuses willfully to fulfill. Fahish is the latest terrorist group to bring the word “jihad” back into fashion as a catchall term for violent uprisings, acts of zealotry, and unwarranted aggression. The term is abused in the news multiple times a day, mentioned casually as a core principle of Islam as if most Muslims would rather wave battle flags than take care of their families. Jihad—which carries meanings of striving, struggle, and combat—can involve battle: all just causes have their battles. But the most important type of jihad is, and always has been, jihad al-nafs: the jihad of the self, the struggle to ascend above the lowest impulses and to do good. There is no jihad al-nafs in the cowardly, ugly posturing of Fahish: no organization that treats humanity with such contempt can rightfully claim any jihad at all-no matter how many flags it waves and weapons it buys. 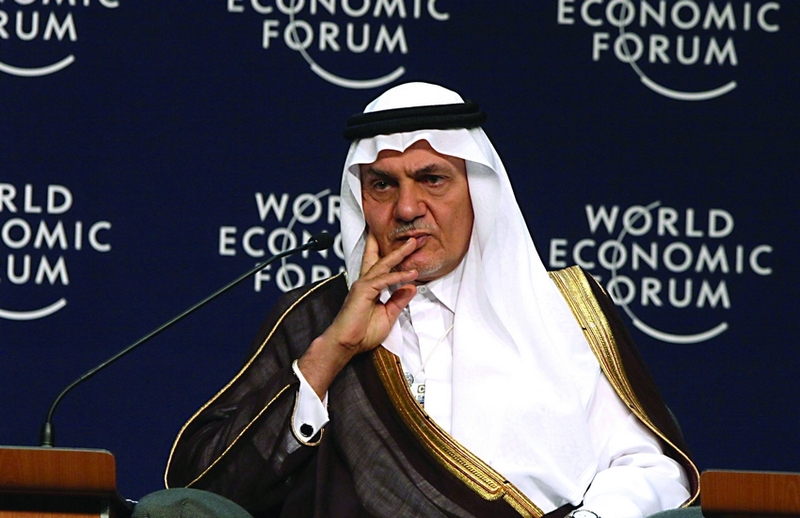 Another word beloved of the media and attributed to Fahish and other terrorist groups is “Wahhabi.” The term refers to Sheikh Muhammad bin Abdul Wahhab, the eighteenth-century unitarian reformer who allied himself with Muhammad bin Saud to establish the first Saudi state, which lasted from 1742 to 1818 AD. Abdul Wahhab followed the teachings of the salaf al-salih, and his preaching was characterized by adherence to the Tahawi creed. Despite these credentials, the media and so-called experts on the Middle East associate the mention of his name with extremist, if not terrorist, teachings. All of this leads to one conclusion. Fahish, the media, pundits, and some political leaders in the West are in cahoots to steal from me and from the more than one and a half billion Muslims, our religion, Islam; our ideals of self-improvement through jihad; our reverence for our forefathers, the salaf al-salih; and the unitarian movement of Sheikh Muhammad bin Abdul Wahhab, without which there would be no Saudi Arabia to lead the fight against the terrorist ideology and actions of the so-called Islamic State, Fahish.